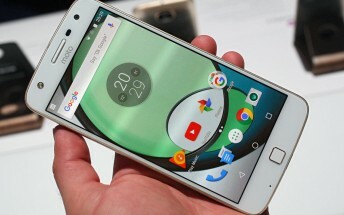 The Motorola Moto Z Play has started receiving a new update in the US. 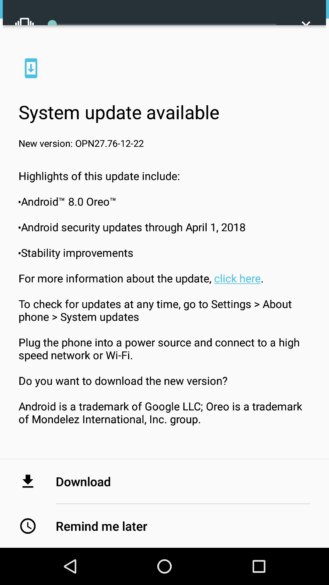 Arriving as version OPN27.76-12-22, it's a major update that brings along Android Oreo OS. As you can see in the screenshot below, in addition to the usual Oreo goodies, the update also includes Android security fixes for the month of April. The Moto Z Play Oreo update started rolling out last month, with India becoming the first market to get it. It took over a month, but it's good the update has finally arrived in the US. The Moto Z also started receiving Oreo a few days ago.